The second part of this project will depend on you, dear readers. I encourage you to send in your family's biographies so that others researching your surnames can find this valuable information. Often, funeral notices are a source of biographical information. You, too, can write a biography with little more than birth and death dates and a few personal remembrances of where the subject lived, loved, worked and played. Make sure that you include source information for your biographies, whether it be a book, newspaper, family papers or other. So, let's get this project on wheels! Flood my e-mail-box! In May of 1997, this project was organized by Jeff Murphy, using the established KY Biographies Project as a model. State coordinators were sought to set up their own state project. They were offered the system design and tools created for the KY project, but were free to set up their project in any way they chose. Volunteers are now needed to enter, edit, and archive the biographies for each project. If you would like to volunteer to coordinate a county please contact the Minnesota State Coordinator, Tina Hursh. I am Barbara Timm and I am the coordinator for Mahnomen County, Minnesota. 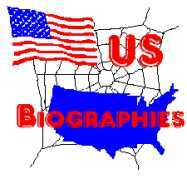 If you have biographies you would like to submit for Mahnomen County, please contact me. 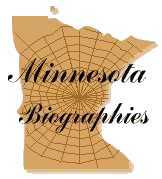 The "Mahnomen County Biography Project" is joining a site that is already in existence: "The Mahnomen County, Minnesota, GenWeb Site." Indeed, the page you are reading now is located on that site. We look forward to receiving contributions from our readers in the form of biographies, obituaries, and any other genealogical material to the Mahnomen County GenWeb. Click HERE to go to the GenWeb portion of this site.